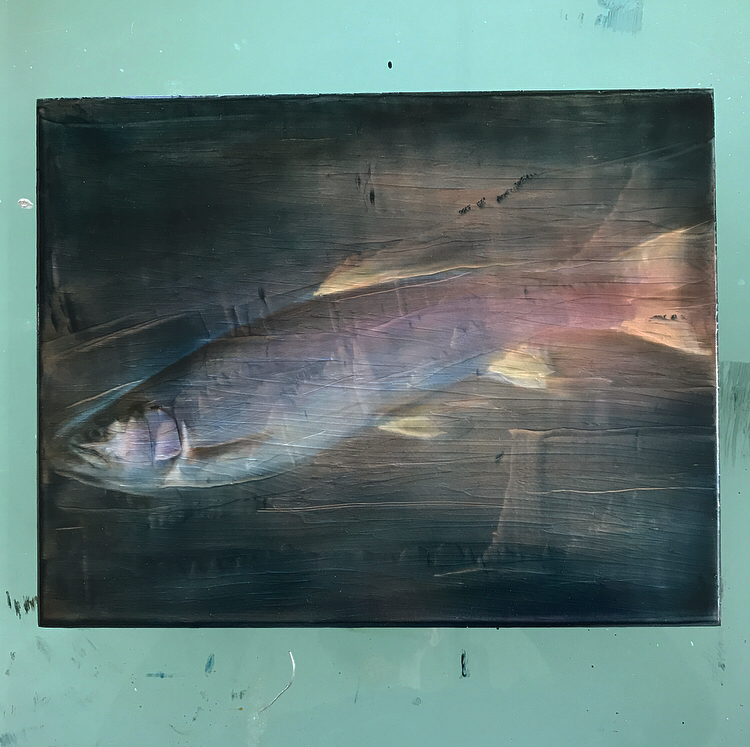 Apparently I am doing a little series of trout paintings! This was not my plan but was inspired by some 10” paintings I created a bit over a year ago. Fish are an intriguing subject with their slick metallic skin and smooth curves. This second painting is also 14”x11”.